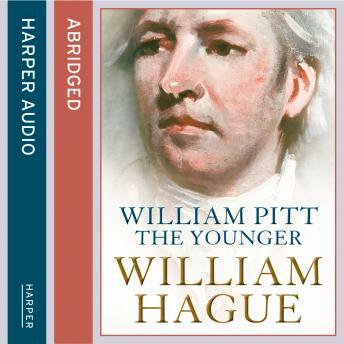 The Sunday Times bestselling biography of one of the towering figures in British history who became Prime Minister at the age of twenty-four, written by the youngest-ever leader of the Tory Party. The younger William Pitt - known as the 'schoolboy' - began his days as Prime Minister in 1783 deeply underestimated and completely beleaguered. Yet he annihilated his opponents in the General Election the following year and dominated the governing of Britain for twenty-two years, nearly nineteen of them as Prime Minister. No British politician since then has exercised such supremacy for so long. Pitt presided over dramatic changes in the country's finances and trade, brought about the union with Ireland, but was ultimately consumed by the years of debilitating war with France. Domestic crises included unrest in Ireland, deep division in the royal family, the madness of the King and a full-scale naval mutiny. He enjoyed huge success, yet died at the nadir of his fortunes, struggling to maintain a government beset by a thin majority at home and military disaster abroad; he worked, worried and drank himself to death. Finally his story is told with the drama, wit and authority it deserves.